When you lose someone close it comes as a shock.Sometimes the death may be expected,But nothing can ever prepare you for the emotional shock of losing a loved one. A funeral for a member of your family is undoubtedly one of the most difficult days of your life.You will want to be sure that all the fond thoughts,feelings and memories of that person are expressed and celebrated on that day. As your funeral directors, we are here to help and advise in whatever way we can. We are dedicated professionals who take pride in offering a truly personal service to you.Our office's are open Monday to Friday 9.00am-5.00pm however are available twenty four hours a day, seven days a week. 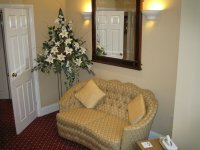 This information is an extension to the specialist information that the funeral director will discuss with you. It allows you to sit in the privacy of your own home and reflect on the information you have been given, and to raise further questions you may have about the complementary or additional services we can provide.